Indian airport customs tariff’s, laptop rule, updated india custom rates, lodging a complaint, GST and more. The vast sub continent of India offers such a diversity of experiences that international travellers are drawn to it again and again. As a destination India receives perhaps amongst the highest number of repeat travellers in the world. We are offering some useful tips regarding travel to India. What are the different types of rates of duties of Indian Customs & GST ? In general if you are Indian resident or a foreigner residing in India or a tourist of Indian origin, arriving from any country other than Nepal, Bhutan or Myanmar. The free allowance shall not be pooled with the free allowance of any other passenger. A tourist is supposed to take back the items which have not been consumed during the stay in India when he/she returns. One laptop computer (notebook computer) over and above the said free allowances for passenger of 18 years and above. Can i take two laptops to India ? One bought in India and one overseas ? One laptop allowed, you may be required to provide proof of the second indian laptop. The term “Baggage” is defined as “Baggage that includes unaccompanied baggage but does not include motor vehicles”. A passenger (tourist) is required to comply with certain provisions of the Indian Customs Law. The owner of any baggage shall, for the purpose of clearing it make a declaration of its contents to the customs officer (no written declaration is needed and oral declaration is usually acceptable). The rate of duty and tariff valuation, if any, applicable to the baggage shall be the rate and valuation in force on the date, on which a declaration is made in respect of such baggage. In respect of the goods personally brought in by the passengers it means approximately the retail price of the goods paid abroad (always carry the original invoice/bill to settle the disputes). Who is not normally a resident in India. Who enters India for a stay of not more than six months in the course of any twelve months period for legitimate non-immigrant purposes, such as – touring, recreation, sports, health, family reasons, study, religious pilgrimage or business. The prerequisites for treating any articles or goods as baggage is that they were in use of the passenger or were brought and paid for by the passenger. Personal and household effects are treated as baggage and can be imported freely without any restriction as to the value of the goods. However they should be imported in reasonable quantities. Goods in commercial quantities may be allowed to be imported as baggage based on the merits of the case. India is making a concerted effort to make the airport experience a better one than historically; this includes attempting to make immigration/emigration and customs procedures simpler and more friendly. The baggage clearance at the major International Airports in India consist of two channels for clearance. Green channel Not having any dutiable goods to declare. Red channel Having dutiable goods to declare. Non declaration & wrongful declaration of the dutiable goods may attract confiscation of goods, fine or penalty. Serious offences like attempting to smuggle Gold, without declaration may lead to arrest & prosecution. Goods other than personal and household effects can be imported as baggage subject to certain limit called Duty Free Allowance. Presently goods of various values brought as accompanied baggage or on person can be cleared free of duty by passengers, based on their duration of stay abroad and their age. Goods brought as unaccompanied baggage are not entitled for the concessions mentioned below. Goods taken out from India by a passenger while going abroad can be imported again into India free of duty provided the passenger had received an export certificate from the Customs in respect of that particular item while going abroad. Please note that Baggage Rules are different if coming from Nepal, Bhutan, Myanmar or China by air or land routes. Can free allowances of two or more passengers be added up (pooled or combined) to bring more goods duty free or pay lesser duty ? Absolutely not! This is a question frequently asked by passengers travelling with family or by passengers travelling in groups. What is the rate of duty on the value of baggage exceeding the Duty Free Allowance? How much cigarettes, cigars, tobacco and alcoholic liquors can be brought? 200 cigarettes or 50 cigars or 250 gms tobacco. Note: Excess Alcoholic drinks and Tobacco products are charged at the rates applicable to their commercial imports and not at the usual excess baggage duty rate. What items are considered as used personal effects under baggage rules? Anything that is used for satisfying daily necessities of life are allowed duty free. Generally, the term includes items like all used items of personal wear, used cosmetics, used toiletries, umbrella, walking sticks, used shoes, hair dryer, hearing aid, shaving kit, spectacles, and one watch. Any other item can be included, based on the merits and on a case-to-case basis. It is the customs officer who exercises his/her judgement in deciding the nature of the items. 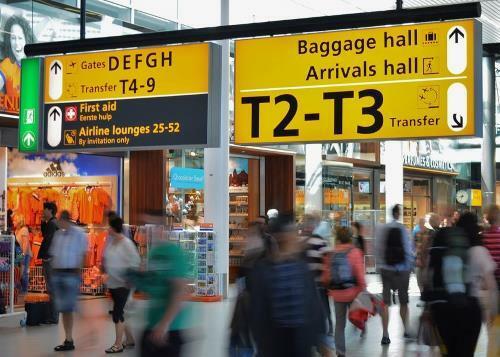 What are the Personal Effects allowed duty free in respect of tourists? Sports equipments such as one fishing outfit, one sporting fire arm with fifty cartridges, one non-powered bicycle, one canoe or ranges less than 51 meters long, one pair of skids, two tennis rackets, one golf set (14 pcs. with a dozen of golf balls). A tourist is supposed to take back the items which have not been consumed during the stay in India when he/she returns.